Allaire is the local coordinator for The November Project, a Boston-based initiative that brings fun and free workouts to Philadelphia on weekday mornings. Best part? Each workout begins with a hug. Bacon is a co-founder and director of Philly Yoga Factory, Philly’s first pay-what-you-can yoga collective. Holding a 200-hour certification in Vinyasa yoga, she is inspired by other traditions as well and threads them into her classes. Justine’s flow is slow, yet intense, with an emphasis on the breath and movement for cyclists and runners. Fenlin, a licensed aesthetician, is owner of About Face Skin Care, a Center City refuge for those looking for customized care for a variety of skin ailments. Through extensive research and years of experience, Fenlin has created her own protocol for treating acne and skin-related issues, through a mix of lasers and her own line of products. Dr. Grewal is an Assistant Professor of Medicine at Sidney Kimmel Medical College at Thomas Jefferson University. She is also an attending in the division of Pulmonary and Critical Care and the Sleep Disorders Center. Dr. Grewal’s research and clinical interests include sleep issues in women and sleep disordered breathing. This beauty editor, author and health coach has a deep understanding and holistic approach to beauty, believing that wellness comes from the inside out. Her book, Eat Pretty, explores the relationship between what we put in our bodies, our emotions and actions and how our skin looks with big ideas and practical tips. She now educates women on this powerful connection through her company, Beauty Is Wellness. Hunsicker is the owner of Fishtown Pharmacy, a relationship-building, community-oriented store that offers nutritional counseling, holistic and traditional medicine, and vitamins and supplements. Hunsicker is both holistically trained and received his pharmacology degree from the University of the Sciences. As owner of Philly Personal Training, Maher, a certified trainer himself, believes that a healthy lifestyle is the key to tackling our busy everyday lives. With that in mind, Maher and his team specialize in developing custom packages that fit each client’s unique situations and schedules, and includes meal plans, exercise regimens, motivational support and even help on recovery days. An avid runner and public health advocate, McDanel founded Students Run Philly Style in 2004. The local organization has grown from 50 students to 650 students, who are provided with mentoring programs, academic support and intensive leadership training all through long-distance running. Napolitano is a clinical psychologist that has been with Bryn Mawr Hospital’s Psychiatric Unit since 2009, and in private practice since 2003. She motivates her clients to face their challenges, explore solutions, and make decisions for themselves, all which result in a happier, more satisfying life. Schwartz is the owner/trainer of GFit Women, a trainer-led, group fitness program just for women that relies on intense workouts, holistic dietary support, and a strong community. Schwartz is certified in Crossfit Level 1 and ACE personal training. GFit Women now has two area locations. These co-founders of City Fit Girls aim to inspire, encourage and motivate women to live healthier lifestyles, through a variety of supportive fitness classes, run clubs and retreats. Stoltz is the founder Ploome, a community-driven fitness and lifestyle boutique changing the world one killer workout at a time. She is also the founder of REQ.1, a fitness arts non-profit organization that provides human trafficking survivors with safe and creative spaces for healing and change. As owner of Fitness ALIVE, Waters has been working with the Philadelphia community for eight years. Her love for fitness and health helps her motivate through movement in many different aspects of fitness. 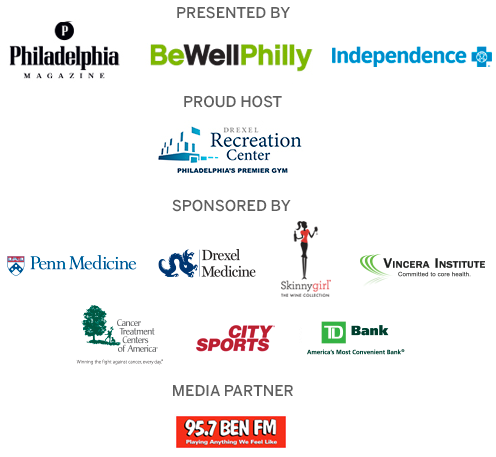 She was recognized as Philadelphia magazine’s Best of Philly 2010 and is honored to promote how much fun fitness can be in the City of Brotherly Love.